We had thousands of entries and we are gearing up to announce this year's opening act for #JacaDay. We would like to thank each and every person who entered this year's opening act competition. We have had thousands of entries and now entries are officially closed! It is now up to our panel of experts in the #JacaFamily to go through all the entries to pick the Top 5, which will be announced next week during Breakfast with Martin Bester. It is then your job to rally the troops and get all your friends and family to vote for you to be the opening act at this year's Jacaranda Day. 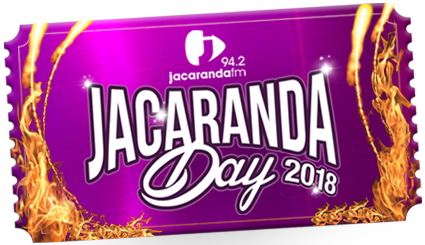 ALSO READ: Jacaranda Day 2018 is the hottest ticket in town! So make sure you tune into Breakfast with Martin Bester from 06:00 to 09:00 next week to find out if you are a finalist! Remember you can still get your tickets to join us on the 2nd of June at the Monument in Pretoria for the hottest event of the year.